The term “post-truth”, which appeared for the first time in 1992, has known a considerable diffusion in the political commentary after two important political events of 2016: the EU referendum in the United Kingdom and the presidential election in the United States. For this reason , the Oxford Dictionaries have decided to elect it as “Word of the Year 2016”. They affirm that it is an adjective defined as “relating to or denoting circumstances in which objective facts are less influential in shaping public opinion than appeals to emotion and personal belief”. In the present article, I will compare two different visions (perhaps completely opposite) on the phenomenon of “post-truth”: the one of the liberal journalist Jonathan Freedland and the one of the Russian philosopher Alexander Dugin. In the end, I will try to make some conclusions. I found this article on “The Guardian” ‘s website and I chose this source because I wanted to see how the phenomenon of post-truth was treated by a famous and widespread (maybe we could say “mainstream”) newspaper as “The Guardian” (just think that it defines itself as the “leading liberal voice in the world”) and in particular by a well-known journalist as Jonathan Freedland. At a general level, regarding the opinion expressed by the journalist in the article, it can be said that he expresses all the typical worries of the good liberal, progressive and positivist western intellectual. But now let’s analyze the reflection of Freedland in detail. First of all, the British journalist says that «2016 has punched truth in the face, leaving it bruised and bleeding». For example, he says that: «As Aleppo endured its final agonies, the simple act of circulating any account – a video, a photograph, a news report – would trigger an unnerving response. Someone, somewhere would reply that the photograph was doctored, the source was a stooge, the rescued child was not really a child or not really rescued». According to his opinion «this is about more than assigning blame for this death or that bombing. This is about refusing to accept that the death or bombing occurred at all». It is interesting to see that he mentions the «defenders of Bashar al-Assad» and the «Russian and Iranian enablers» as one of the guilty of this kind of behavior. Citing a phrase of the US Senator Daniel Patrick Moynihan, Freedland says that «“You’re entitled to your own opinion, but you’re not entitled to your own facts”». However, he asserts that today this fundamental distinction between opinions and facts seems failed. In fact, «Now people regard facts as very much like opinions: you can discard the ones you don’t like». Afterwards, Freedland analyzes the behavior of Donald Trump. He underlines that the US President, about matters of supreme importance and gravity as the role of the Russians in the hacking of democratic emails and the climate change, in the face of a vast body of evidence, always said: «“Nobody really knows”». Furthermore, Freedland remembers that Trump also said that if you deduct the millions of illegal votes he would have won the US popular vote: a flagrantly false claim for which there is no evidence whatsoever. Regarding these claims of Trump, the journalist says: «We’ve been calling this “post-truth politics” but I now worry that the phrase is far too gentle, suggesting society has simply reached some new phase in its development. It lets off the guilty too lightly. What Trump is doing is not “engaging in post-truth politics”. He’s lying». In the end, he is convinced that «Trump and those like him not only lie: they imply that the truth doesn’t matter». Afterward, Freedland lists the causes of this situation: the use of technology («Social media allows fact deniers to spread their anti-history fast and wide»), the distrust in elites («People are no longer prepared to take their leaders’ word on trust») and the trend towards «deeper and more bitter partisanship» (affirming amazed that «once people have aligned themselves with a tribe, studies show their first instinct will be to believe what favours their side and disbelieve what favours their opponent»). The journalist affirms that this tendency to not give importance to the truth «is making our public sphere a dizzying place» and asserts that «Without a common, agreed set of facts, we can hardly have any kind of public conversation at all». Citing the writer David Roberts, Freedland says that today «“There are no more referees. There are only players”»; in fact, «When actual judges enter the picture […] one side rushes to discredit them, branding them as biased, ideological partisans» (in other terms as «enemies of the people»). At the end, Freedland concludes that «we cannot live in such a world. Evidence, facts and reason are the building blocks of civilization. Without them we plunge into darkness». Personally, I think that the reflection of Freedland about the phenomenon of the post-truth is rather superficial and insufficient. I find more interesting the analysis of the Russian philosopher Alexander Dugin, who gave an interview to the journalist Gabriel Gatehouse of the BBC almost a year ago, exactly on these issues (Alexander Dugin: “We have our special Russian truth”- BBS Newsnight). The philosopher starts by saying that «any truth is relative so we have our special Russian truth that you need to accept as something that maybe is not your truth». He explains that it «doesn’t means that truth doesn’t exist, but it means that absolute truth, one for all, doesn’t exist». Afterwards, Gatehouse asks Dugin a personal question: «when you watch the news on Russian television, do you believe in what you see?». Dugin replies: «absolutely». «But you are an intelligent man!» affirms arrogantly the journalist and immediately Dugin argues that post-modernism and sociology teach us that «real facts are the ones the society believes in», therefore «every so-called truth is a matter of believing. So we believe in what we do, we believe in what we say and that is the only way to define the truth». Dugin clarifies «that is not only our position»; in fact, «when I see western media I ask myself how people could lie in such a way […] but after I say to myself: “stop, it is not lying, it is their truth”». Then he goes on affirming that «facts are always interpretation» and «you see because you interpret». At this point, Gatehouse stop Dugin saying: «but if somebody flys on an airplane and drops a bomb on a building in Aleppo..», but Dugin replies immediately asking: «but whose airplane is it? what bomb is it? what is the area the bomb is falling on? After answering these questions our interpretation begins. It’s a war and it’s very difficult to go there and to see what’s happening». «For you any bomb falling is Russian», continues Dugin, «any person killed by Russian bomb is an innocent civilian […] because you are a real normal western man, western journalist, western reporter and you presume that Russians are evils. This is your truth». 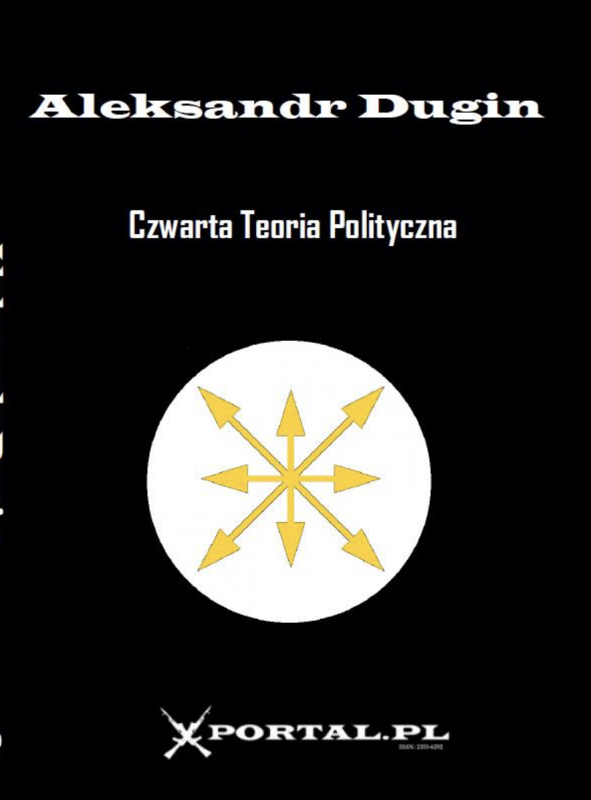 According to Dugin, now we live in a «multipolar world», which is composed by a plurality of equally strong powers. We must understand and accept that in such a world «nobody has the monopoly on the truth». 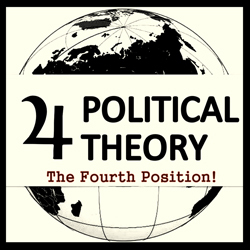 As we still learn from Carl Schmitt, politics divides men into friends and enemies; this implies the fact that there is always the possibility that politics degenerates into a conflict. Schmitt affirms that the liberal philosophers were the ones who wanted to reduce politics into a simple platform of discussion. So when Freedland says that «Without a common, agreed set of facts, we can hardly have any kind of public conversation at all», he does nothing more than express a typically liberal concern. At the end, overturning his last sentence, we could say that “evidence, facts and reason are not the building blocks of civilization, but only those of his civilisation. Without them we don’t plunge into darkness”, but we just return to real politics. In other words, we can say that we are moving towards a “multipolar world”. The real challenge, as Dugin suggests us, is to be able to accept the other’s diversity and to respect his truth, without giving up our identity.